Across the gamut of the arts, intellectual property rights have remained a problem in Vietnam. Many popular foreign songs have alternate, Vietnamese versions. According to one South Korean newspaper, a Vietnamese singer named Cao Thai Son released a music video that is almost identical to Se7en\'s official video for "Come Back to Me Part 2", released in 2006. Another singer, Ung Hoang Phuc, took advantage of the Vietnamese market with a clip that many see as a blatant copy of Tættere På Himlen, by Burhan G.
Phuc defended himself by saying, "Borrowing ideas in music is normal. Singers do it in Vietnam and all over the world." These are not isolated incidents. In fact, another "artist", Bao Thy, has earned herself the title "The Music Copying Queen", with her own versions of songs from abroad. Most notably, she is known for her knockoff version of the k-pop song "Nobody", along with others from the Australian singer, Lenka. The domestic film industry is also rife with ripoffs. A film named "Inferno" was banned from the Golden Kite Film Festival this year because of its similarities to another Hollywood movie. 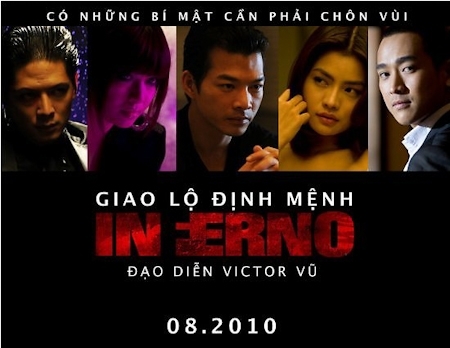 Overseas Vietnamese director, Victor Vu, attracted attention, and controversy, to himself with a film that was suspiciously similar to the American film "Shattered". Last October the actress, Tang Thanh Ha, wore a dress to the first Vietnam International Film Festival which bore a striking resemblance to clothes made by Elie Saab. The dress was made for her by Hoang Hai. Do Manh Cuong is has also been accused of directly lifting from a collection by the Dutch designing duo Viktor Horsting & Rolf Snoeren. In other countries there are stricter laws concerning intellectual property. In South Korea, for example, a musician called Bahnus was fined KRW270 million (USD230,375) after it was courts concluded that six songs on the album he wrote for Lee Hyori actually belonged to other artists. Despite criticism from international companies and other countries, Vietnam still lacks specific laws for intellectual property rights.